Bummed out by the cold weather? 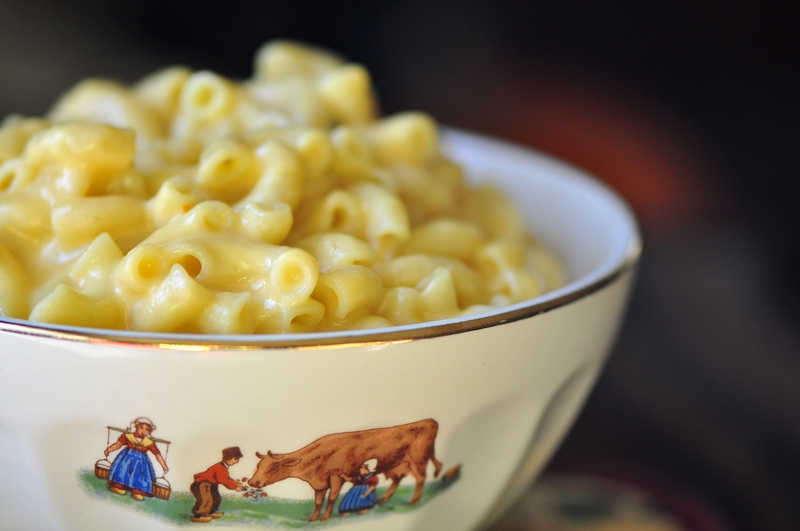 Mac n’ cheese solves all problems. 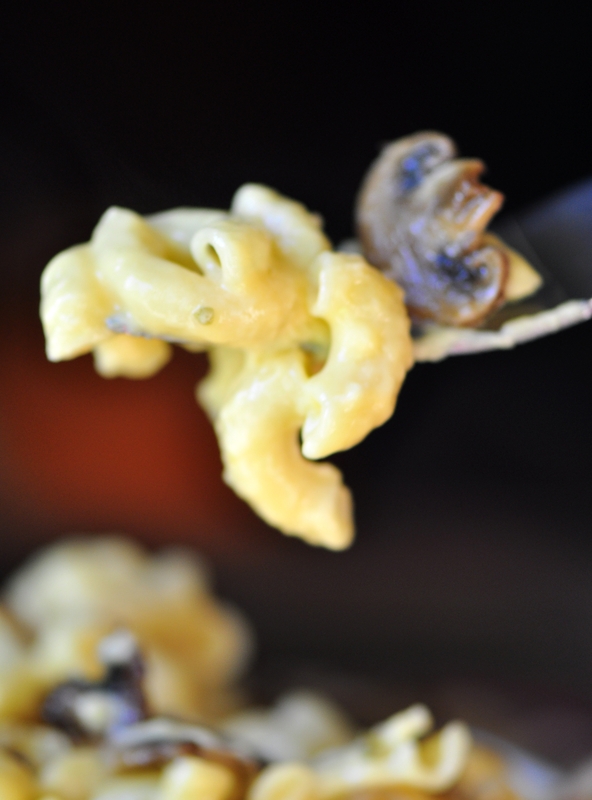 I made a Baked Macaroni and Cheese With Panko a while back, but I have to admit the stovetop version is much better. I personally think the cheesier, creamier and thicker, the better. Also, I don’t know if anybody else has run into this issue, but I didn’t think the breadcrumbs added anything really special. Not much flavour and there’s already lots of carby ingredients, so I’m good without it. 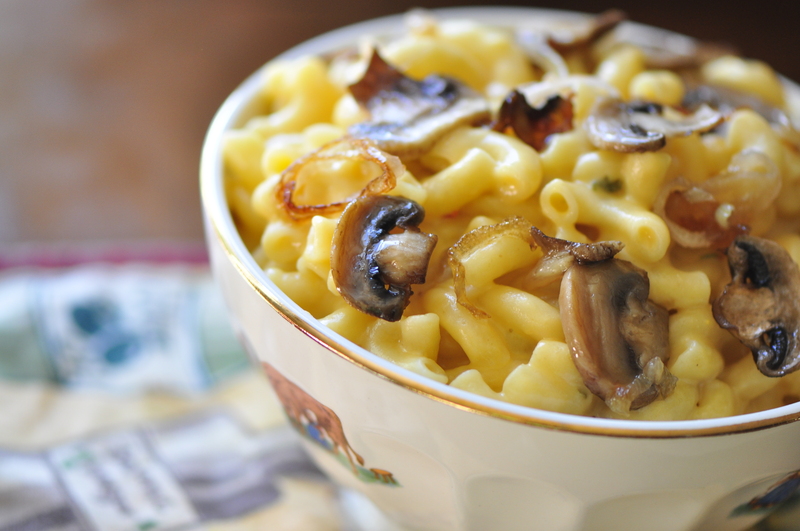 The shallots and mushrooms are a nice touch outside of your regular mac ‘n’ cheese, but if you just want it plain and original then go for it, it still taste amazing. I made a ton of sauce and only 2 cups of pasta, the perfect ratio for me. You could also add any other toppings you want, as long as you cook them in advance. Bring a large pot of salted water to a boil. Add pasta, and cook for 8-9 minutes until noodles are soft and have expanded slightly. Drain and set aside. Heat vegetable oil in a skillet. Once heated, add mushrooms and shallots. Allow to cook until mushrooms release liquids and the shallots are softened. Cook at a low temperature so they will still be warm when the cheese sauce is done. In a medium-sized saucepan, heat 1 cup of the milk on medium heat. In a separate bowl, mix together the remaining milk and the flour, until no clumps remain. Once the milk begins to lightly steam, add in the flour/milk mixture. Mix until well combined, then continue to cook on medium heat, stirring frequently to prevent sticking. The milk mixture should be thick/creamy looking. Add in handfuls of cheese at a time, and stir, melting the cheese into the sauce. Add in dry mustard, salt and pepper. Toss pasta, cheese sauce and toppings together in a bowl. Serve immediately. For reheating, you can either microwave for 2 minutes on medium, or bake on 350 degrees F for 10 minutes. **For the baking options, if the pasta dries out a little bit, add in a tablespoon of milk and stir, then heat for a few more minutes.